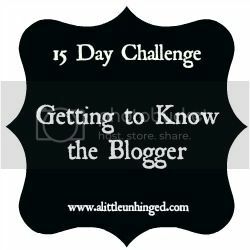 Day 3 of the 15 Day "Get to Know the Blogger" Challenge: What are some of your favorite childhood memories? Growing up in Southern California I went to Disneyland at least once a year. Eventually, after my parents got a divorce we didn't go as often but still pretty frequent. The picture above I was about 8-years old (that's me in red) and we went with cousins, aunts and my grandma. Doesn't matter who you go with it's hard to not have fun. My mother, aunts and even grandmother were a part of a girl's organization called Jobs Daughters, when they were little. So when I reached the right age I joined our local Bethel (chapter) and through the years made my way up in the Line (you're reading the blog of a sure-fire Past Honored Queen). This is a picture of a Grand Bethel (state-wide convention). I made lots of dear friends in Jobies and still am in touch with a number of them. So high school might not count as "childhood" but I have many great memories from that time. Mostly around our high school theatre company. I started working with the director when I was in seventh grade and by the time I graduated I participated in over a dozen musicals, one act plays and follies. Most of my BFFs were friends from these years. While I would never want to go back in time and "relive" high school it was some amazing years. Most of high school I lived just a few blocks away from the school, and was typically a hang-out place for my friends and I. Boys. Girls. Didn't matter there were more sleep-overs than I can count. This is the last "Girl's Night" my senior year before graduation. I'm still in contact with most of the ladies that came that night. I <3 My Girls! Lots of great memories, I love all the pictures. Thanks Ech. I think picture blogs can be way more fun than me just rambling. Love that you added photos. Great job. This is an amazing posts Morgan.